Speewah film night featuring Fractured Country – What’s all the fuss about fracking? Come along & find out @ Speewah Tavern, 8th April at 7pm. 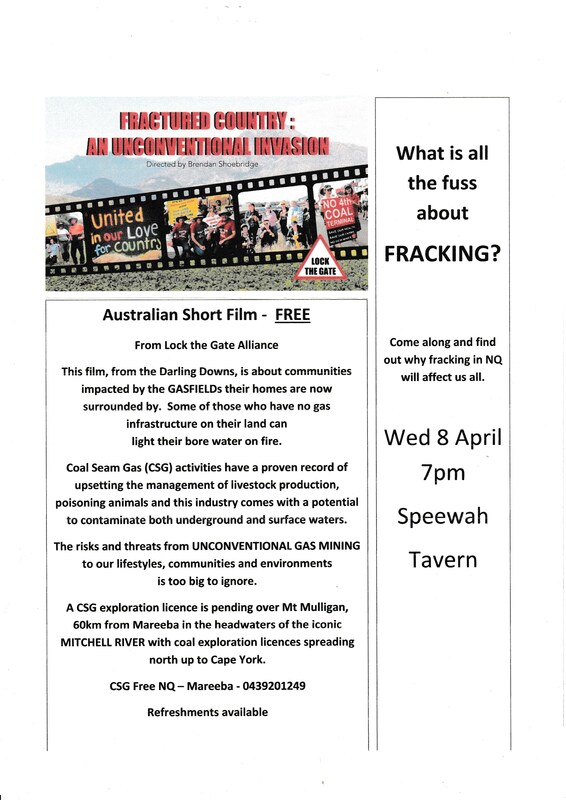 « CSG Free NQ Inc.
Home » Uncategorized » Speewah film night featuring Fractured Country – What’s all the fuss about fracking? Come along & find out @ Speewah Tavern, 8th April at 7pm. Tags: CSG Free NQ Inc.
By mcrossmn in Uncategorized on March 30, 2015 .